On US 23 and US 441 in Georgia. May 22, 2005. No, GA 365 is not pulling a US 321 and reversing direction here. 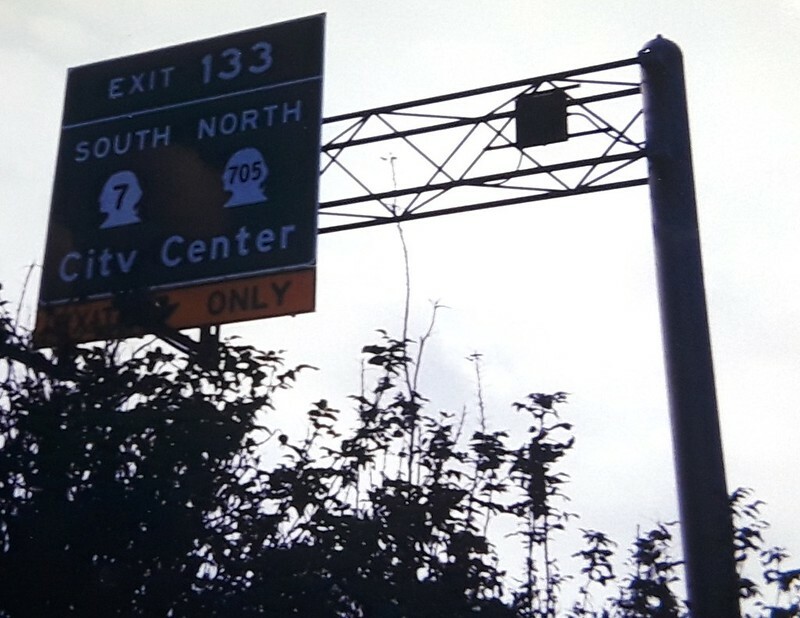 That sign on the left should read GA 365 NORTH (and also US 123 NORTH, for that matter; GA 17 SOUTH is correct, though). The photo is from 2005, but Street View shows it still in place as of 2011. Good catch! I saw that very picture in the thread yesterday, but I did not catch the mistake. I'm surprised it has gone that long without being fixed (and may still not be). This was there in November when I did my western Kentucky meet. Yet technically true, as it does bypass US-87 to the east -- by a couple of thousands of miles!!! 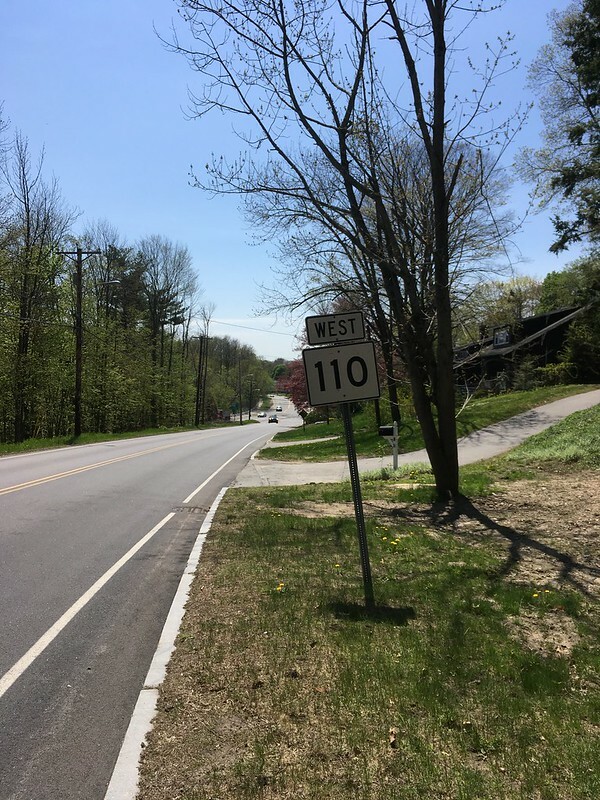 This sign is on MA 108, not on MA 110. MA 108 ends at the intersection ahead; MA 110 west is straight, and MA 110 east is to the left. By the way, I just clinched MA 108 today by walking. An M6-3 (upward arrow) panel placed below the MA 110 shield would correct the error. I assume I-100 is the error? That’s just a GSV photo-stitching glitch. 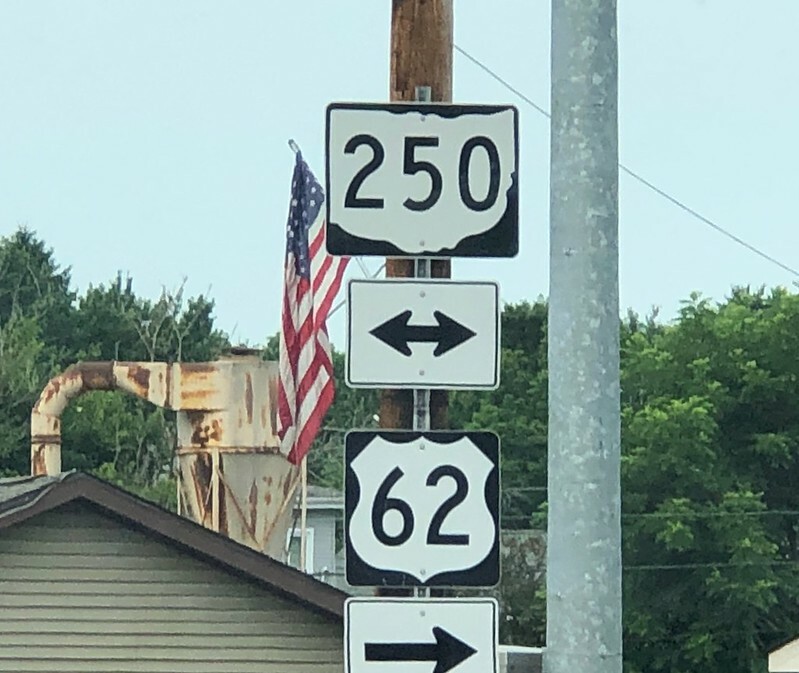 The photo seam goes horizontally through the Interstate shield, and the top of the 8 got cut off. Move back one step,and it’s I-180. Edit: I do see an issue. 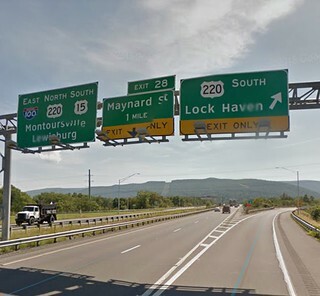 The lane marked “Maynard St EXIT ONLY” actually ends at the US 220 junction; it’s the left lane here that becomes the Maynard St ramp. Thru traffic on US 15 southbound has to merge left at US 220. This is why you have to tell people what the issue is. Most of us aren't familiar with the sign or area and would have no clue what's wrong. So the two leftmost signs are transposed? It's all part of Fritzowl's plan. Oh that's awesome! I always wondered if there was a photo of that sign. I drive under that sign at least five times a week, and I was always pretty sure (either because someone on this website mentioned it, or I read it somewhere else read below) that under the weird I-705 shield was a WA-705 shield. So cool to see a photo of it uncovered. WSDOT still refers to the highway as anything from Hwy 705 to WA-705 to SR-705 on various matrix displays and temporary construction signage. Hell, this survey (from WSDOT) online right now repeatedly refers to the roadway as "SR 705" (IIRC; I can't see the survey now that I've taken it). I don't mind legal documents using the term "SR 705" because, well, that's what it legally is. But anything that the general public might read should use I-705. 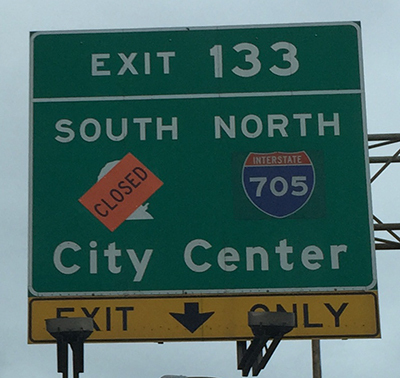 This sign was discussed prior in the unique/odd/interesting thread with some uncertainty as to what was behind the I-705 shield. Kacie Jane guessed correctly, however. For what it's worth, this sign has been installed for a long time. I'm still not sure what the green-out covers. I believe it was an SR 509 shield. While 509 isn't that far away, and certainly might have been signed at this interchange before I-705 was a thing, now that we know the sign dates only to 2002, I find that highly unlikely. While I have no proof (and I'm not sure how we might now be able legally obtain proof), I'd be willing to bet a small sum of money that it covers an erroneous SR 705 shield. If the sign dates to 2002, then I agree with you it's probably not 509. My basis for assuming so was how they've signed this gantry on I-705. I was guessing that while they were completing the freeway they had portions of it signed as 509. Construction sign in the Scudder Falls Bridge replacement work zone (now I-295), Exiting traffic to C.R. 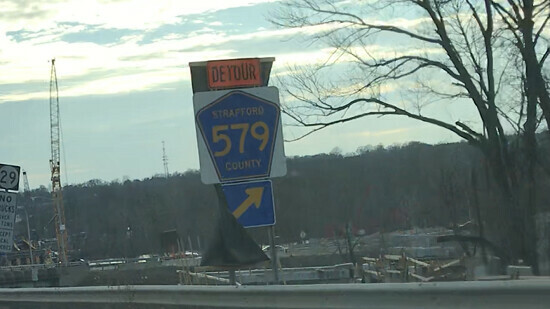 579 detoured from Exit 75 to Route 29 (Exit 76). The county, however, is Mercer. the only Strafford County I know of (and only because of looking it up) is in New Hampshire . . .
Low standard's, maybe, but they should still know where to put their apostrophe's. I found this shield gaffe in Ohio's Amish country. From NJ 82 W Bound you do not use the NB Garden State Parkway to access US 22.